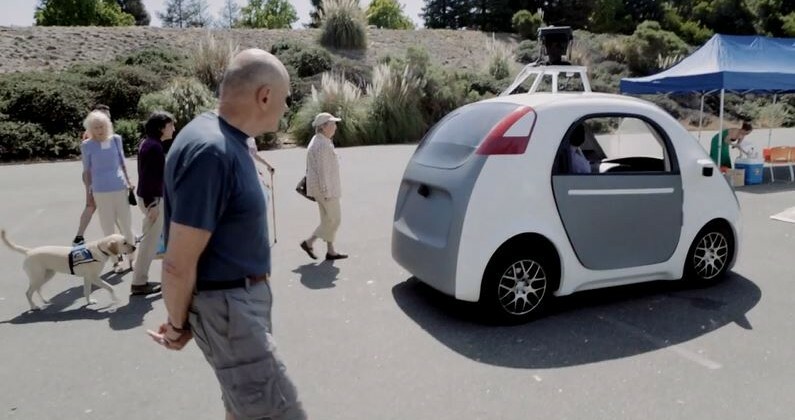 On Tuesday, Google debuted their latest and most technologically advanced self-driving car. This, of course, is another step forward in an ongoing project that was started back in 2008 and has featured other prototypes that were built using Lexus and Toyota prototypes. This latest version of Google’s vision, however, is the first truly driverless electric car, and it’s the first vehicle to be built with no steering wheel, accelerator, or gas pedal. To summon the two-seater car, passengers just need to use their smart phone and the vehicle will pick them up and drop them off at certain designated locations. Inside of the vehicle, there are no manual controls, just a simple start button and a big red emergency stop button. Alongside these buttons, there is a small screen that showcases the weather, the current driving speed, and a small animated launch countdown. In an official blog post released by Google, the company tells us why everything is so minimalistic; “On the inside, we’ve designed for learning, not luxury, so we’re light on creature comforts.” That’s no surprise. After all, this is just an initial building block. Well, the car uses a combination of sensors, software, and highly accurate digital maps to navigate in real world locations. To deal with immediate situations, the car also has a series of lasers, cameras, and a single point radar system to monitor everything in the immediate vicinity. According to Google, their software is capable of recognizing and navigating around objects, people, cars, road marking, signs, traffic lights, unpredictable hazards, and even cyclists. It is by far the best and safest version of an autonomous car in history. 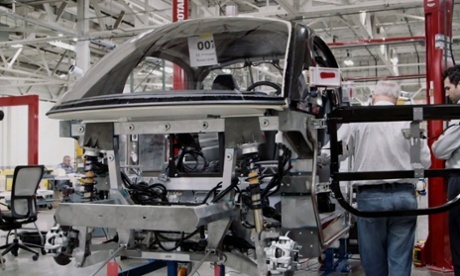 Once safety is secured, the company plans to slowly develop the vehicle into something that can last. In fact, they hope to have evolved versions of these prototypes by the end of the decade. This entry was posted in Culture and tagged Google, Google X, self driving car, Sergey Brin. Bookmark the permalink. I agree. I think that if there is a company out there that can do this, it’s Google. It’s crazy to think that this could be a reality in just a few years.